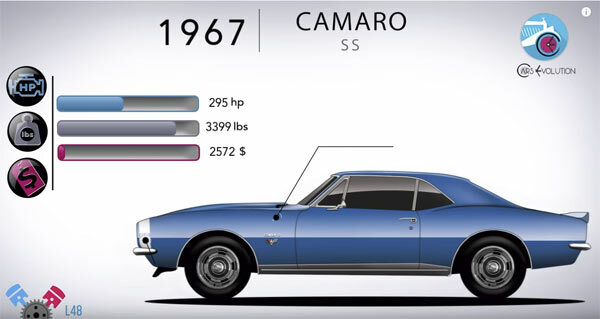 The Chevrolet Camaro is an American muscle car that has proven its worth and the test of time. Being produced since 1967 there is a wealth of models and tons of statistics to wade through for any Camaro fan. This video gives a nice overview of each generation of Camaro with a focus on the most popular models and some of their standout facts. From the first SS model in 1967 which had a 350cid V8 engine producing 295 hp, to RS models and Z/28’s and even Yenkos, from novice to the expert this video is a great way to see how far the model has come over the years. If you want a video to give you a nice overview of the Camaro, this is the one to watch. If you want to find out what Chevrolet having store for the Camaro for 2018 check out their official website here. ← Previous Story 1987 Buick GNX Grand National Never Registered!